The Benchmade Arvensis Clip Point Knife is here to save the day. 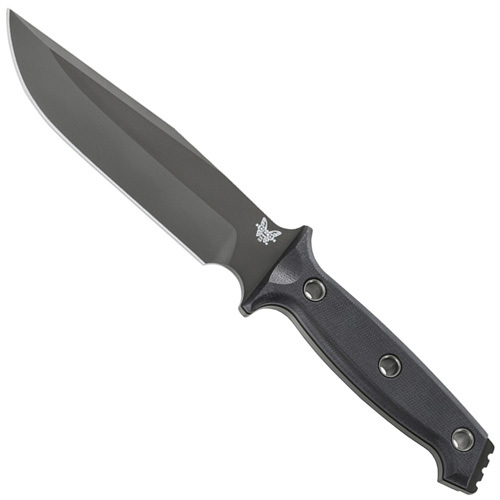 This heavy-duty fixed blade knife has the ability to withstand abuse in survival, wilderness, and tactical scenarios. The Shane Sibert-designed knife features a black clip point blade made out of strong 154CM steel, a moisture-resistant black G10 handle, and a crossguard for hand protection. A MOLLE-compatible Boltaron plastic sheath is included.